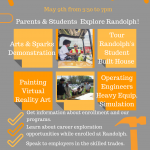 Randolph Career and Technical Center will host its annual Open House and Construction Trade Expo on Wednesday, May 9 from 3:30 p.m. – 7 p.m.
Additionally, the Open House and Construction Trades Expo will feature information about enrollment and programs available at Randolph, career exploration opportunities while enrolled at Randolph, as well as opportunities to speak with current professionals in the industry. All high school students and their parents are welcome to attend; light refreshments will be served. 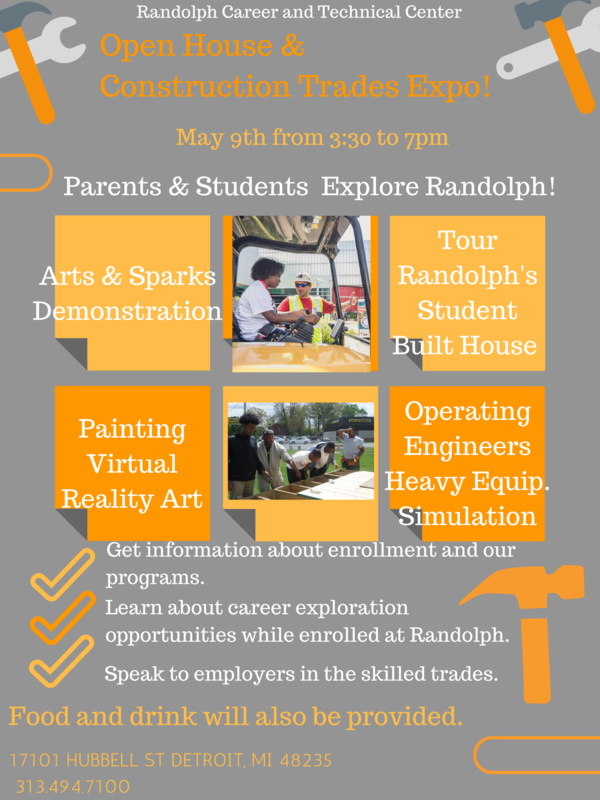 Randolph is located at 17101 Hubbell Street, Detroit, MI 48238. For more information please call (313) 494-7100. This entry was posted in Info News Center, News and Press Releases and tagged 589.